Last week, PlayerUnknown’s Battlegrounds officially surpassed 10 million copies since March. And this week, they passed 1 million concurrent players. PUBG is now a feat for any game without the words “Grand Theft Auto”, “Mario”, “Call of Duty” or “Pokemon“ in the name, or it might even threat that AAA title. 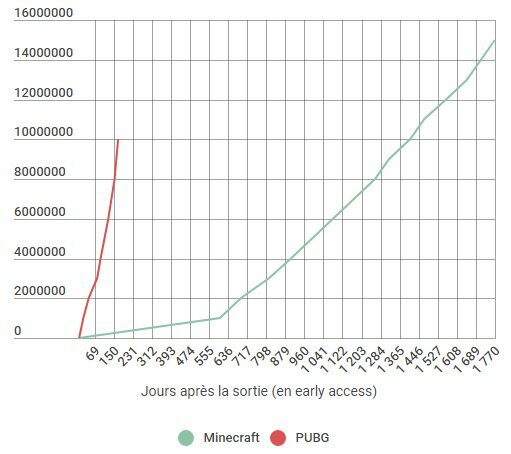 200K peak players left to “All-Time Highest Concurrent Player Count” and 4M copies left for “The Top 50 Best-Selling Games of All-Time”. Will this juggernaut train stop?